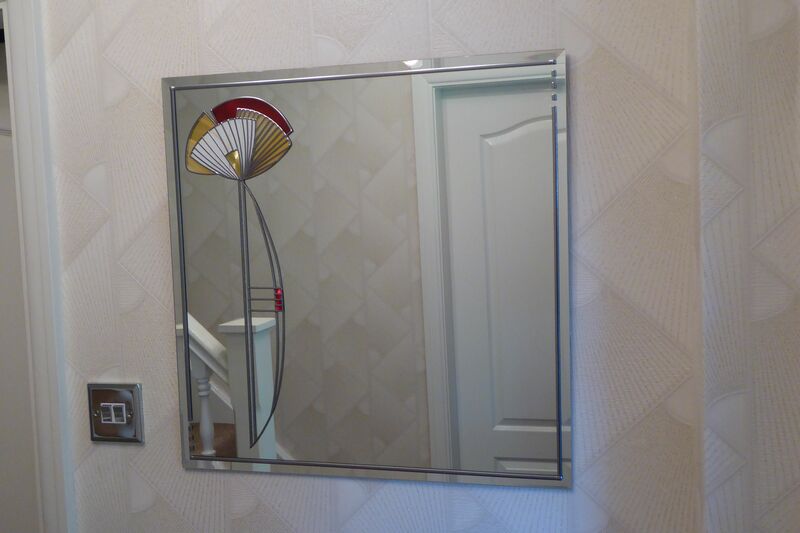 Charles Rennie Mackintosh Mirror – Red Fan Head and Tulip Belly! | SiHo! Charles Rennie Mackintosh Mirror – Red Fan Head and Tulip Belly! Many many thanks to Looking Glass Art for a great consultation and design session. We love the result – matching so well with our Art Deco fan wallpaper!